Forrest Baird is a recent graduate of the SUNY College of Environmental Science & Forestry (SUNY-ESF) in conjunction with Syracuse University. During his tenure as a student, he received two degrees in Environmental Science (B.S.) and Sustainable Engineering Management (M.P.S. ), with focuses in systems ecology, renewable energy, process engineering, polymer science and engineering, and project management. Additionally, Forrest is a certified Green Belt in Six Sigma through the Syracuse Pulp & Paper Foundation. 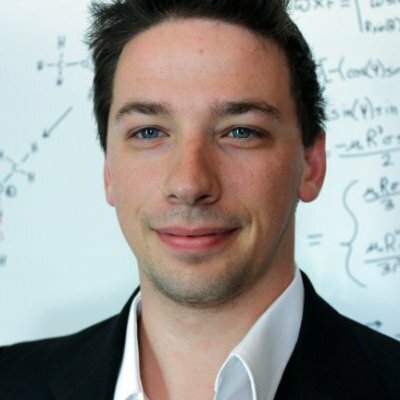 Forrest has extensive tutoring experience in the realms of biology, advanced mathematics, and physical chemistry as well as teaching experience in the fields of systems ecology, computer programming (R, Visual BASIC, Matlab, Fortran). He recently developed and co-taught a class “Leadership vs. Management” to challenge over 60 chemical engineering students to differentiate the two topics and use both aspects to solve problems in the real world. During his college career, Forrest has worked several internships, including with The Nature Conservancy as a field assistant, The USDA Forestry Service as a database assistant, SUNY-ESF’s Willow Biomass Project as a research assistant, and Applied Biorefinery Sciences as a biomaterials engineering intern. In addition to internships, Forrest served as an Interim Tech Director at The Arc: Crawford, Forest, and Warren Counties to bring the agency up to compliance with current HIIPA regulations. In the last year of his Master’s Program, Forrest developed and started a self-development center at SUNY-ESF known as The Starting Point, which serves as a catalyst to help students, staff, and faculty get their ideas off the ground faster. The Starting Point centralizes some of the best resources in the form of business books, blogs, and mentors to give users a place to start with any idea or goal, personal or professional. Upon graduation, Forrest will serve as a consultant to The Starting Point and help the next student director run the center as independently as possible. Outside of engineering, Forrest enjoys serving as a emotional intelligence coach to his peers as well as writing orchestral music for SoundCloud. Currently, he is enjoying learning Git to work on a software development project with his best friend. Ask Forrest how he can help you on a project to allow you to focus on your higher-order duties and create the best WIN-WIN outcome.